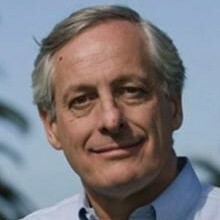 Bill Reichert has over 30 years of experience as an entrepreneur and investor. Since co-founding Garage in 1998, Bill has focused on early-stage information technology and materials science companies. He has been a board director or board observer at CaseStack, WhiteHat Security, ClearFuels Technology, Simply Hired, MiaSole, D.light Design, ThermoCeramix, and VisaNow, among others. Prior to Garage, Bill was a co-founder or senior executive in several venture-backed technology startups, including Trademark Software, The Learning Company, and Academic Systems. Earlier in his career, he worked at McKinsey & Company, Brown Brothers Harriman & Co., and the World Bank. Bill earned a B.A. at Harvard College and an M.B.A. from Stanford University. He is a member of the Council on Foreign Relations in New York, and is a former Chairman of the Churchill Club in Silicon Valley. He is also an Advisor to the Women’s Startup Lab, Nordic Innovation House, and the Korea Innovation Center.